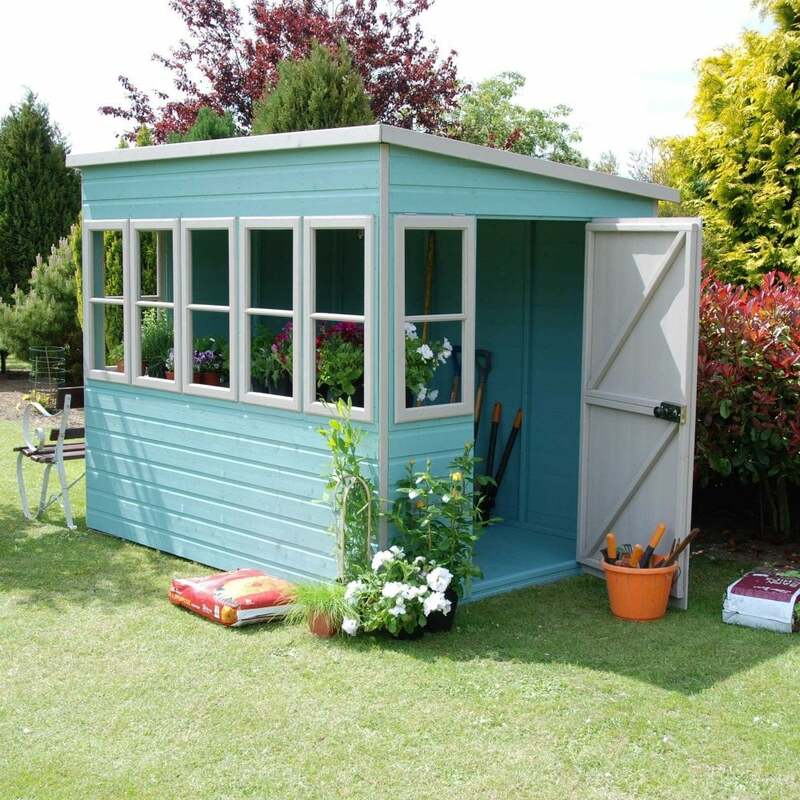 Shire Sun Pent Summerhouse: The Sun Pent Summerhouse by Shire is a fantastic outdoor building, perfect for additional garden storage space or the perfect place for growing your favourite plants and flowers all year round. The Shire Summerhouse comes in the choice of 4 sizes to suit your needs: 8 x 6, 10 x 6, 8 x 8 or 10 x 10. The Sun Pent is constructed with 12mm shiplap tongue and groove cladding and 34 x 34mm framing for a robust structure and the floor and roof is also made with 12mm tongue and groove timber with felt roof material supplied as standard. The Shire Summerhouse features a single ledged and braced door with a rim lock and key supplied for added security and either 5 or 6 fixed windows (depending on size) and two opening windows for a bright interior. Please Note: Building does not come painted.